Dennis "Jack" Candini was subbing at Milford High School in Massachusetts. He may have been scared in the moment, but Milford High School senior William Pointer said it didn't stop him from jumping into action when he noticed his teacher needed medical help. "I was terrified," said Pointer, 18, of Massachusetts, who has known educator Dennis “Jack” Candini since freshman year. "But I didn't second-guess myself. I needed to get someone who could help with the situation." 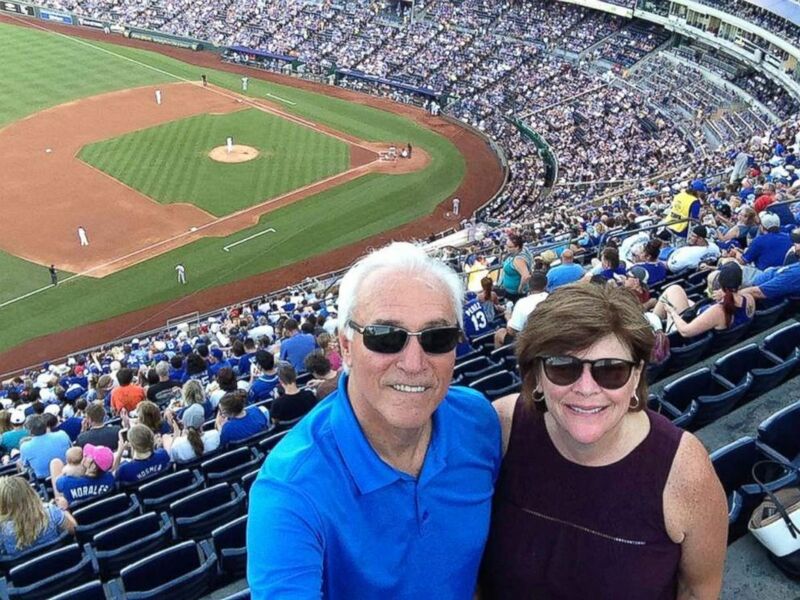 On April 27 after 1 p.m., Jack Candini was subbing for a teacher in a food service class when students noticed he was having trouble speaking. Pointer told ABC News that a few students called 911 while he and another classmate ran next door to alert another teacher, Pam Hennessy, who took control of the scene. Hennessy had the students move the desks and evacuate the room in preparation for EMTs to arrive. 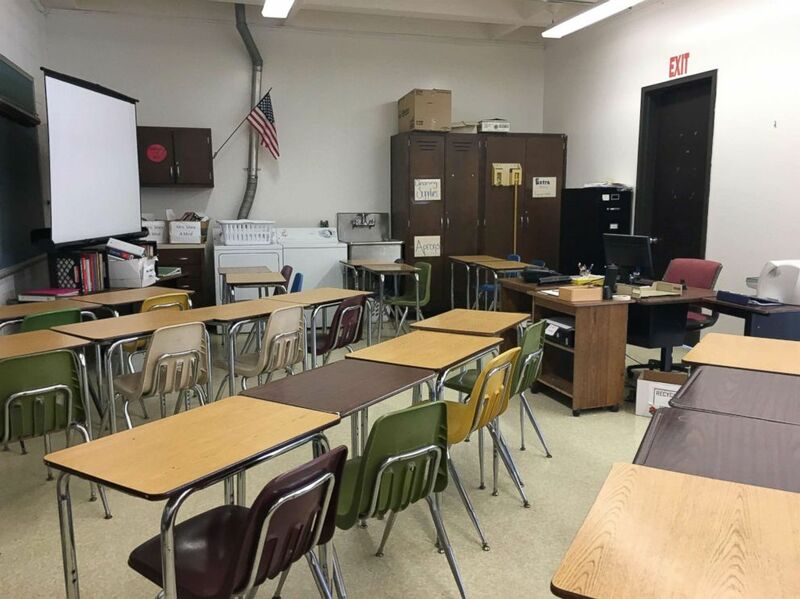 (Milford High School) Seen in this photo taken on May 15, the classroom where Jack Candini suffered a stroke on the afternoon of April 27. 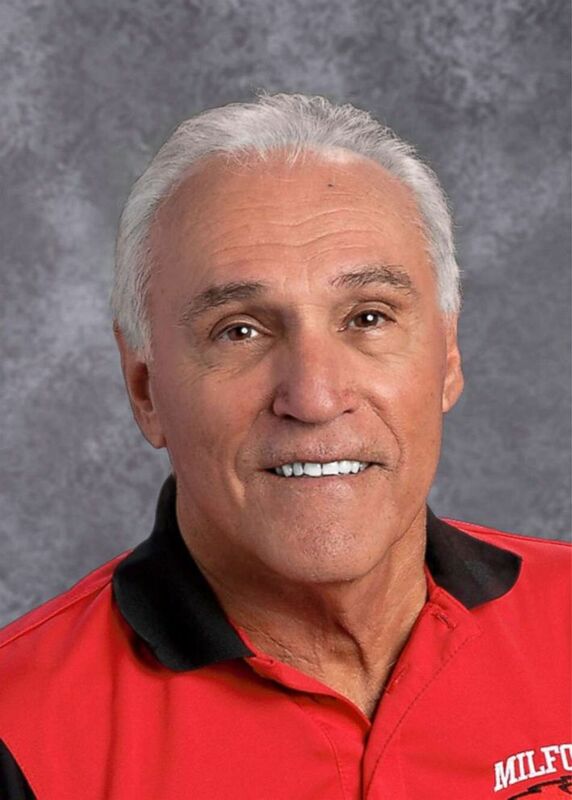 Candini, 71, taught for 32 years at Milford High School before retiring in 2004. He now works as a substitute teacher and continues to coach school sports. Candini told ABC News the students noticed changes in his face and speech. "I've no [prior] history of anything and I've been active all my life," Candini said. "When [the stroke] was occurring, I was kind of in denial -- that's why the students, I give them so much credit. They trusted their judgement and they stayed on the situation." (Jack Candini) Jack Candini seen with his wife, Marian Candini. The couple lives in Milford, Massachusetts. According to the Mayo Clinic, there are telltale signs when someone is having a stroke: trouble with speaking and understanding, paralysis or numbness of the face, arm or leg, trouble with seeing in one or both eyes, headache and trouble with walking. "The length of time they have been present can affect your treatment options," the Mayo Clinic states on its website. Now recovering, Candini said that he's found a way to show appreciation to his students. 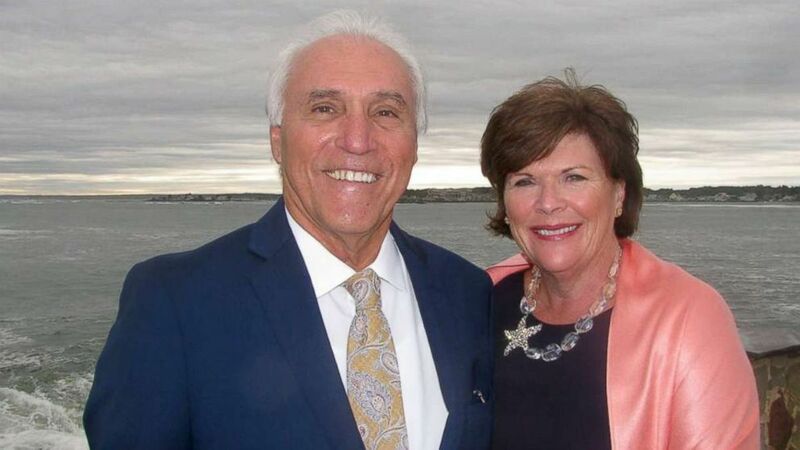 (Milford Public Schools ) Dennis "Jack" Candini, 71, taught for 32 years at Milford High School in Milford, Massachusetts, before retiring in 2004 and has been substitute teaching since. "Not being sure how to thank someone for saving your life, especially a group of young kids--what I've done through the principal and through the school, we are going to do a one-shot scholarship to a senior that hopes to have a major in the medical field as a token of my family's gratitude," Candini said. "It will acknowledge the young people that got involved." Marian Candini, Jack Candini's wife, said she "doesn't know how to thank" the kids and the community for their support. "My husband doesn't really like all this publicity, but if it helps saves someone else's life, it's the silver lining," she said. "I feel very blessed and beyond grateful." (Jack Candini) Jack Candini seen in an undated photo with his wife, Marian Candini. Milford High School principal Joshua Otlin said, "We are very thankful that our students responded decisively and effectively in this moment of crisis. Any delays could have had catastrophic consequences for Jack, and our students' decisions made all the difference." "While I am extremely proud of our students, I'm not at all surprised that they rose to the occasion," he added. "As the principal, I have the pleasure to see and hear about daily acts of kindness and courage from our students and I know that we have a special community of compassionate young adults at Milford High School." 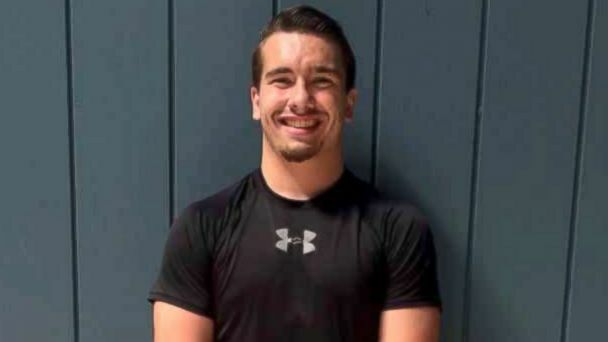 (William Pointer) William Pointer, 18, a senior at Milford High School in Milford, Massachusetts, has known Dennis "Jack" Candini since his freshman year and was involved in saving Candini's life. Candini said he hopes to become well enough to proctor next week's state-wide testing at the school and eventually, play hockey again. William Pointer said it was "amazing" to be involved in saving his teacher's life. "It's a good feeling," he added.